Are We There Yet?? : I'm Seeing Stars! After working my standard 16-hour day yesterday at work and coming home quite exhausted by the whole thing (it's been pretty busy in the Land of the Ambulances lately), it was really nice to see the links to more wishing stars waiting for me in my e-mailbox. What a total thrill to see so many people not just participating in, but really enjoying, this meme. Wishes for sunny beaches in Florida, something I can really appreciate around this time of the year when winter just won't go away! 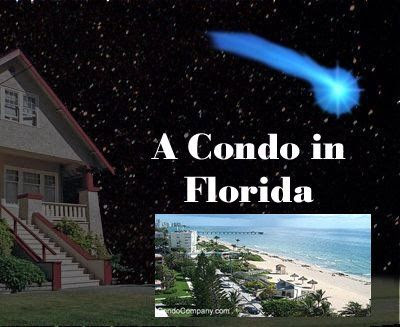 Another wish that those of us with children and grandchildren - and bills! - can truly appreciate! Now here is a wish that I've made many, many times myself! I am so with you on this one Amber! You have no idea! A wish that I'm sure that many of us have made over and over again but truly comes from the heart. 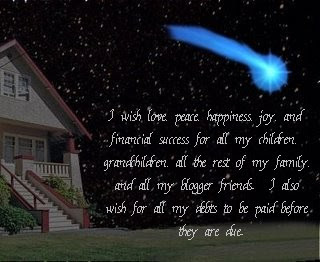 While you enjoy these wishes, I'm going to do some more star-gazing and find a few more! See - lots of people are participating in this great meme!